Defining the word “success” in the music world can be a difficult task. Rarely is it the case that an accomplished, polished musician will sell millions of records, become a household name, or judge a national singing competition. In fact, quite the opposite is true, especially in the Merrimack Valley and Greater Boston, which are home to a large number of the country’s professional musicians and teachers. 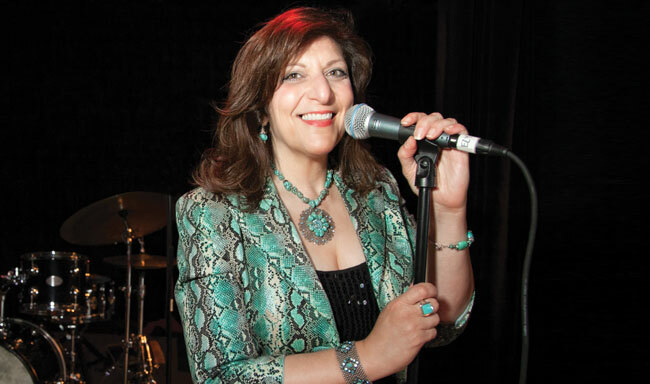 For more than 25 years, vocalist and Andover resident Sandi Bedrosian has been sharing her life’s work of performing and teaching with audiences and students alike across the Merrimack Valley, on the East and West coasts, and in Europe. Top: Sandi performng at the 2013 MVMAs – photo by Meghan Moore. Her new album “There is Such a Thing” was released this year. “I never thought about fame, I only worried about being good,” Bedrosian says. In a career that began as a classical voice performance major at the University of Lowell (now UMass Lowell) in 1984, Bedrosian has lived a fruitful life as a singer in the competitive world of music. From opening for performers such as Sheena Easton, Barbara Mandrell, Gary Cherone of Van Halen and Extreme, and Tom Sullivan, to starring in several professional theater and opera productions and being a go-to source for commercial voice-over work, Bedrosian is one of the most celebrated and recognized music figures in the Merrimack Valley and beyond. In 2005, she began work on her first full-length studio album, a multiyear project that would come to symbolize her music career. 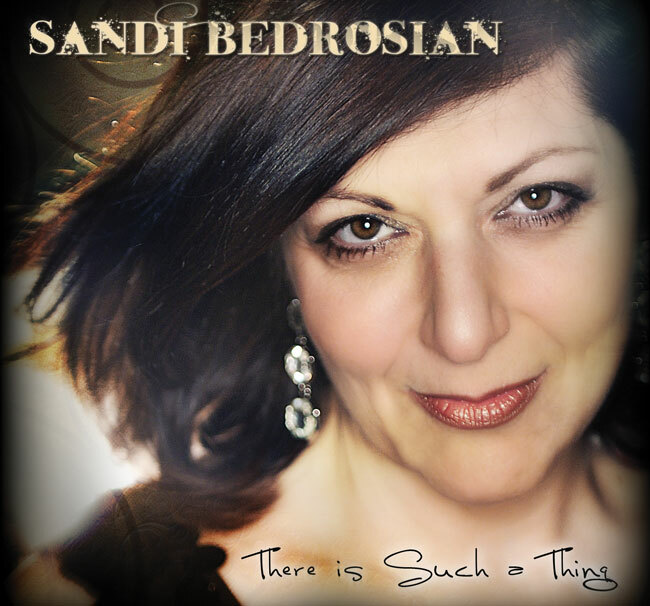 “There is Such a Thing” is an original work and the title track to Bedrosian’s debut jazz album, which was released this year. The endeavor is a culmination of Bedrosian’s career in jazz, which she describes as the “classical music of America.” Jazz has been a part of Bedrosian’s musical life since the beginning, and she attributes her unique style and approach to the classical training she received while in college. The 10-song album features an eclectic set of jazz standards and original tunes, as well as a diverse group of accompanying musicians. Popular Boston-based pianist Mark Shilansky shines as an arranger and player throughout the album, as do the stylings of Bedrosian’s husband, pianist and accordionist John Hyde. Bedrosian displays her lyrical ability in original tunes that include the title track, “In a Funny Little Corner of the World” and “One Deuce of a Romance,” written alongside local songwriter and collaborator Ned Claflin, whose credits include songs for Madonna and Jerry Lee Lewis. Bedrosian’s vocal control and virtuosity are tastefully exercised on standards such as George Shearing’s “Lullabye of Birdland” and the George and Ira Gershwin classic, “They Can’t Take That Away From Me.” “The Great American Songbook” is given new life by Bedrosian in a signature style and approach that will ring familiar with anyone who has seen her live. Though the album may hold a spotlight to Bedrosian the entertainer, it does not illuminate the full scope of her career. On any given day, inside an unassuming white Victorian house on Main Street in downtown Andover, musical wisdom is graciously filling the minds, bodies and souls of students young and old. This haven of learning and artistic expression is The Voice Studio, Bedrosian’s headquarters for 25 years. For Bedrosian, teaching and performing are two sides of the same coin. “I teach to keep me humble, and I perform to keep me in the running,” she says. A natural performer, she allows audiences to catch an intimate glimpse of her soul through her voice, poise and affable stage presence. This ideal is no different in the voice studio, where she offers insights on how to reach one’s full potential not only through technical exercises, but by encouraging students to share the best of who they are vocally, and on a personal level. To blur the line between the physical and intangible is what makes a profound statement as a performer. In the lesson room and on stage, Bedrosian leads by example. For more information, visit SandiBedrosian.com. This entry was posted in Artist Profile, Arts & Entertainment, Music. Bookmark the permalink. Post a comment or leave a trackback: Trackback URL. Singer-songwriter Sandi Bedrosian has been a long time performer on the Boston jazz and GB circuit. Her clear, pure and powerful voice is perfectly suited to sing jazz in the traditional sense like the female pioneers that came before her: Ella Fitzgerald, Billie Holiday and Dinah Washington. Bedrosian has had a love affair with the jazz idiom since she was a young girl and it shows on her beautifully crafted new album, There is Such a Thing. Recorded over a ten year span, Bedrosian enlists a handful of outstanding players in their own right that include pianist Mark Shilansky (who co-produced the album), Keala Kaumeheiwa on bass, Mark Earley on saxophone, husband John Hyde on accordion, Bertram Lehmann, Chuck Soloio & Take Toriyama on drums and Tony Zannini on guitar. Together, this gifted collective delivers stunning arrangements led by Bedrosian’s elegant lead vocals. ANDOVER, Mass.—Over the past quarter century, vocalist Sandi Bedrosian has performed at dozens of venues from the posh Ritz Carlton Hotel to the rollicking Spirit of Boston cruises. She’s starred in numerous musical productions like “Fiorello,” “Carousel,” and “Die Fledermaus,” and opened for national acts like Barbara Mandrell, Sheena Easton, and Gary Charrone of Van Halen. Whether performing solo or with her Sandi Bedrosian Trio, this 46-year-old diva has conquered the world of music in a big way and her career knows no bounds, whether it’s jazz, classical, contemporary, or rhythm & blues. Bedrosian owns a voice studio in Andover and works as a teacher and vocal coach to new and professional artists when not singing herself. Check out her website: sandibedrosian.com. A. I grew up with music in my home. My father sang and performed in Armenian musicals and operettas. Mom had a voice, too. My older brother is a music major and runs a piano school with his wife. My sister is also musical. She teaches and dances as well. I persued my degree at UMass Lowell and give private instruction at my voice studio in Andover and at Milton Academy. Q. How would you compare teaching with performing? A. Teaching is a wonderful way to continue the process of learning and if you’re lucky, it also keeps you humble. Performing keeps me in shape—and in the loop. You’ve got to be in the running. Q. What is your Armenian background? Which Armenian composer/singer impresses you the most? What’s your opinion of Armenian music? A. My entire family was involved with the Armenian Church, Sunday School, Parish Council, and choir. I had the opportunity to join the Yerevan Choral Society conducted by Father Oshagan Minassian when I was just 16. That exposed me to these brilliant Armenian works and singing in Armenian. Q. What type of music do you prefer most? A. I have always loved the music of the 30’s and 40’s. Perhaps I’m a throwback. It seems to suit me—singing Gershwin, Berlin, and Ellington. The music is timeless. However, I’m also very drawn to Motown and Mozart. How contrary! Q. Where does Armenian music rank? A. It still flows through my veins as though I am cued the moment I hear the minor keys and Middle Eastern rhythms. I’ve made a promise to myself that my future performances and next CD will embrace my Armenian heritage. The music is brilliant and quite profound. It can express the emotional journey and resounding spirit of a people so driven to survive. Q. How did you start singing and who inspired you? A. I can’t remember ever not singing—in the car, the shower, my room, the backyard. But I sang very quietly. My mom would always says, “Can you please sing a little louder so we can hear you, too?” She was lovely and truly amazing. Dad encouraged me, too. “Now don’t force your voice. Let it out naturally,” he used to say. His tenor voice was beautiful. But they were not professional singers. They ran a small dry cleaning business. Q. Where did you go from there? A. No one really knew I could sing until I was in my late teens. Aside from my parents, I was greatly influenced by Nat King Cole, Ella Fitzgerald, Judy Garland, and Julie Andrews to name a few. I sang my first paying job at a wedding ceremony as a church soloist when I was 17. Hmmm … maybe that’s where it all began? Q. Tell us something about your Trio and the Baboian Quartet connection? A. My Jazz Trio has been performing around New England for the past 12 years, keeping the music of the great American songbook alive. My musicians are some of the best in Greater Boston and it’s a joy for me to work with them. I am grateful for their artistic talent and musical camaraderie. John Baboian and I met on a gig about eight years ago and were both astonished that our musical paths had never crossed. He’s a brilliant musician whose guitar skills are stellar. I love working with him. Q. Some highlights to your 25-year career? A. In the 1990’s, I shared billing with some headline artists such as Barbara Mandrell, Sheena Easton, and Gary Charrone. That was exciting! Their level of talent, up close and personal, exceeds any notion you may have in your mind. A. Being in the performing arts always brings some disappointments. You can’t please all of the people all of the time, as they say. So you continue to do what you love and do the best you can. Q. Why are you so passionate about music and what does it do for your life? A. Sometimes I think music chose me. When I was very young, I spent a lot of time doing very artistic thinks like drawing and singing and listening to famous recording artists—trying to emulate them to unravel their artistic qualities and what made them so amazing. Somehow, I found a wonderful creative vehicle—a way to express myself through music and lyrics. A song becomes my canvas. Q. How do you prepare yourself for a gig? Your most challenging role? A. There are many things a singer does to prepare, depending on the venue, repertoire, and the singer. Generally, there are vocal warm-ups, hydrating with lots of water, and finding some calming way to relax and compose yourself, maybe say a little prayer. Personally, I do all of the above and it actually helps. Q. How demanding is opera say to jazz or Broadway? A. I have sung a lot of light classical, liturgical, and some opera. Preparing to sing a soprano aria with my mezzo soprano range was somewhat challenging for the part of Rosalinda in “Die Fledermaus” when I was in my 20s. I am moved by Andrea Bocelli’s voice because he does what I have always said I would do, that is, transcending vocally from the classical realm to contemporary or pop effortlessly and authentically. If I were asked to choose one genre of music and sing only that repertoire, it would be sad. I thrive on versatility. Q. Your most meaningful encounter with a diva or some other recording star? A. It would have to be Tom Sullivan. I sang in the late 1990’s with a jazz quintet that was hired to play at a wedding reception. The uncle of the bride happened to be Tom Sullivan, a well-known vocalist/pianist from the 1970’s. Mr. Sullivan was an idol of mine from the time I was a little girl. His musicianship was unparalleled, soulful, and riveting. I screamed out his name as he walked by with his seeing-eye dog. He seemed quite flattered. Later, we sang together and he told me his next project was to take up skydiving. I’m not kidding. The man was remarkable. Q. Favorite piece of music? A. It would have to be Gershwin or “Panis Angelicas” (Bread of the Angels) or “How Great Thou Art.” Or my absolute favorite Armenian song, “Inchoo terrar yev heratzar” Oh, gosh! Is that even a title? Q. What’s ahead? Where do you see yourself 10 years from now? A. No huge visions of grandeur, just to be the best I can be and successful at it. As a young aspiring singer, I’ve always strived for perfection but I’ve never been very competitive. However, I truly appreciate how supportive and receptive people have been over the years and plan to finally finish my jazz CD for release by year’s end. Q. Anything else you wish to add? A. I really owe everything I am to my late parents. I am very grateful that somehow, someway I have been able to do something I love. I thank God for that.